Cheryl Crane provides a long list of men that Lana had in her life in her book “LANA: The Memories, the Myths, the Movies,” but explains that several of them were just dates, friends and not all of them went past kisses goodnight. Wayne Morris: Morris was a good looking, stocky Warner Brothers player who ended up being a highly decorated World War II flyer. Lana said Wayne Morris was her first big crush when she was under contract to Mervyn LeRoy. 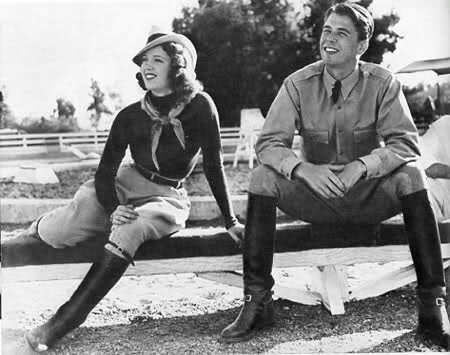 Ronald Reagan: Reagan was Lana’s first studio arranged romance at Warner Brothers. The two started at the studio around the same time. Crane says the most the two did together was go horseback riding. When Reagan became president, she had a hard time thinking of “that young guy from Warners” as the president. Don Barry: Barry played one of the interns in “Calling Doctor Kildare” (1939) with Lana, who plays a bad girl in the movie. He wasn’t Lana’s type because he wasn’t much taller than she was, but Crane said they had a good time together. 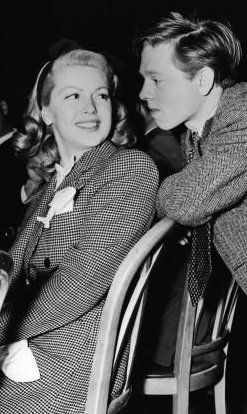 Mickey Rooney: Lana and Mickey Rooney met in 1938 and starred together in “Love Finds Andy Hardy” (1938). 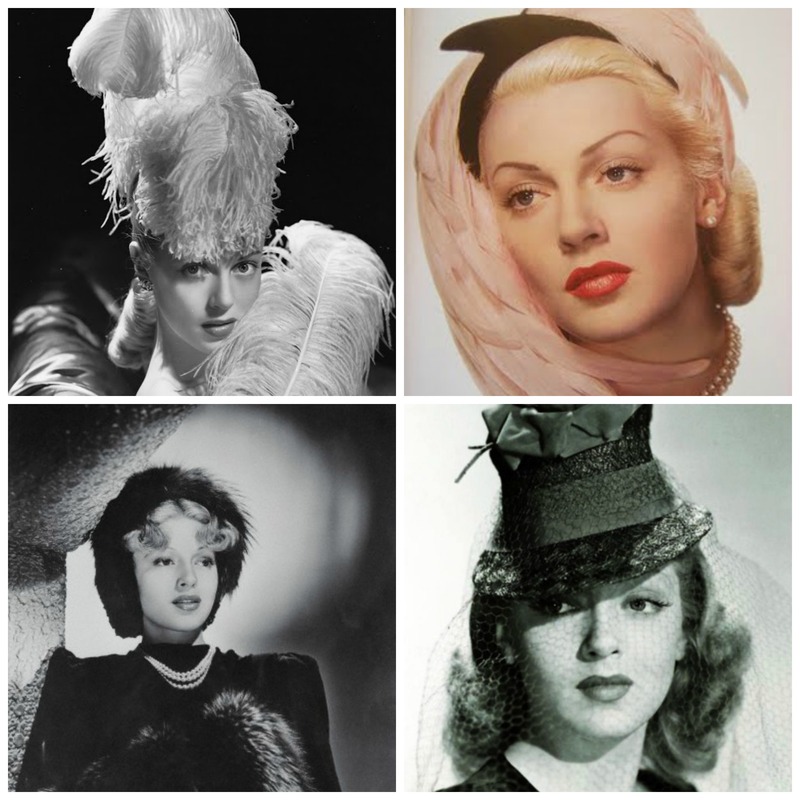 Like several other pretty young starlets, the Andy Hardy series helped launch Lana’s career. In 1991, Mickey Rooney published an autobiography that said he and Lana had a love affair resulting in pregnancy and an abortion. Crane said Lana was furious and denied it. Lana called her attorney and wanted to fight Rooney’s statements, which Crane said wasn’t like her mother at all. Whenever something untrue was printed about Lana she said to ignore it because fighting brought more attention to yourself. In the end, it is a story of he said, she said. 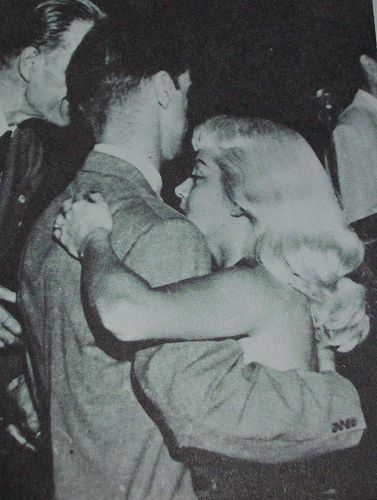 Artie Shaw (Husband #1): Lana and Artie Shaw met on the set of “Dancing Co-Ed” and the couple did not hit it off. She fond him to be arrogant and too serious and he thought she was a brainless star. Regardless, he asked her on dates and she turned him down. Shaw happened to call one evening after Greg Bautzer stood her up, so she said yes. Shaw wooed her by driving down to Santa Monica and talking about his life philosophies. 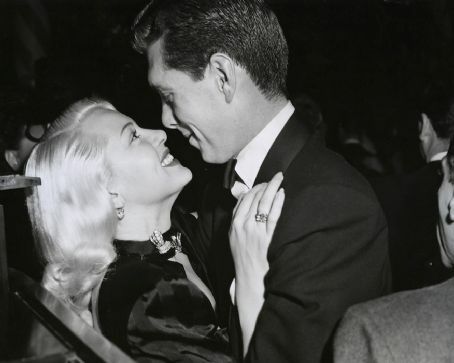 That same night, on Feb. 13, 1940, the two flew to Las Vegas and got married. According to Crane, Lana soon realized she married a stranger-she wasn’t even aware that he had been married twice before, but she tried to make the marriage work. However, Shaw tried to change Lana. “He was only interested in trying to change me completely,” she said. The couple fought constantly and were only married for four months and 11 days-from Feb. 1940 to Sept. 1940. He wouldn’t part with a piano Lana’s mother had given them, so she took his clarinet. During the divorce proceedings, Lana found out she was pregnant, but Shaw said he didn’t believe it was his baby. She decided to get an abortion and Shaw didn’t stop her. 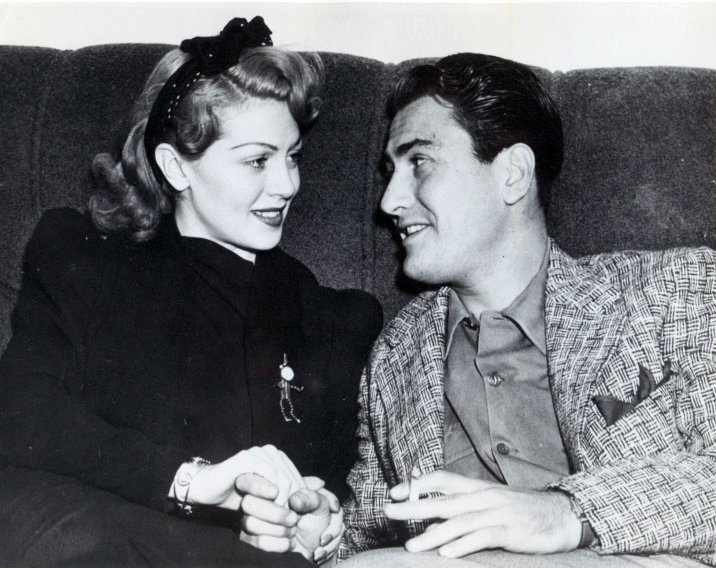 Victor Mature: Lana and Victor Mature dated in 1941 before Mature started a serious relationship with Rita Hayworth. They later starred together in the horrible World War II movie, “Betrayed” (1954). 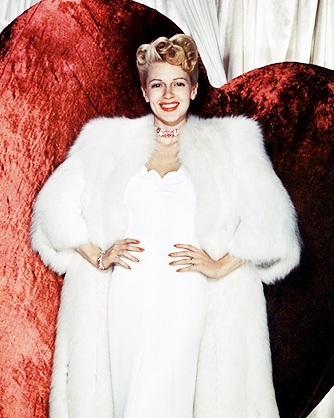 Tony Martin: Before marrying Cyd Charisse in 1948 and after divorcing Alice Faye in 1940, Tony Martin dated Lana after meeting her in “Ziegfeld Girl” (1941). The couple was engaged to be married for a short time and Lana had several piece of jewelry that were engraved from Martin, Crane said. Gene Krupa: Lana was a music lover, something that drew her to Artie Shaw. Crane said she enjoyed late night jam sessions and dated several popular musicians of the 1940s. 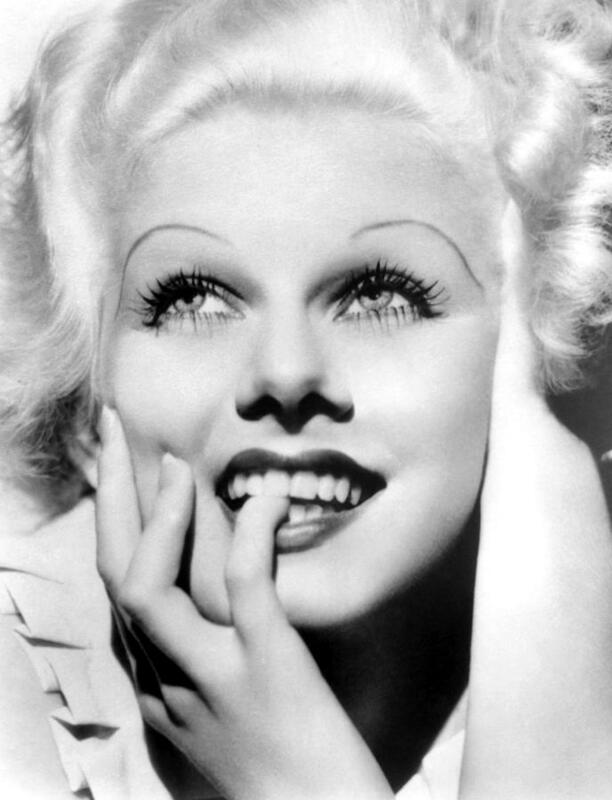 Some of these include drummer Buddy Rich, clarinetist Benny Goodman and Tommy Dorsey- who once gave her a trombone engraved “Lana, Happy New Year, The Boys in the Band.” She dated Gene Krupa, while he was in the middle of of a divorce. But the main thing that scared her away was his marijuana use, Crane said. George Montgomery: Lana and George Montgomery dated before he married Dinah Shore in 1943. 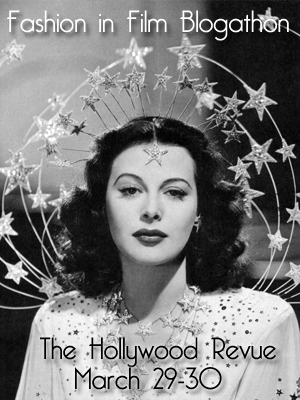 Montgomery was also engaged to Hedy Lamarr before going over seas to fight in World War II. Lamarr married John Loder while Montgomery was away. Robert Taylor: Lana and Robert Taylor starred together in “Johnny Eager” (1941) and Crane said their chemistry was electric: “these two beautiful people got carried away during the filming.” This was one of the few times Lana ever got involved with a co-star, Crane said. However, Taylor was married to Barbara Stanwyck at this time so Lana tried to resist, but they “fell into a heavy flirtation.” Stanwyck heard about it and headed down to the set to tell Lana hands off. Taylor told Lana he was going to leave Stanwyck for her and Lana backed off completely after that, Crane said. Frank Sinatra: Lana dated Frank Sinatra while he was married to Nancy and before and after his marriage to Ava Gardner. 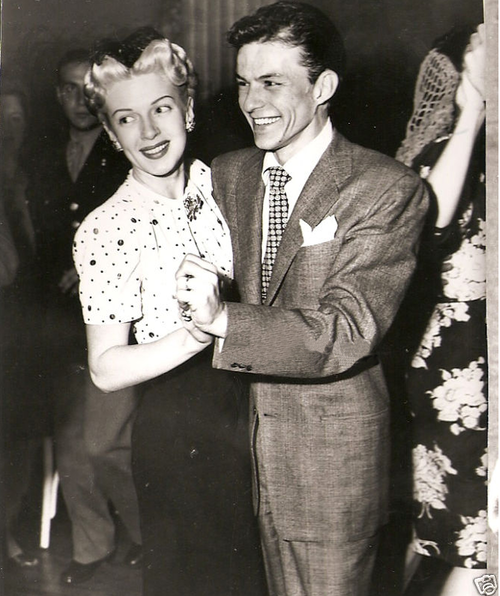 However, the two never were involved while Sinatra was married to Ava Garnder-her best friend and his love of his life. Stephen Crane (Husband #2): Stephen Crane met Lana at the Mocambo night club. He was a struggling actor and said he was a tobacco heir. The two married on July 17, 1942, after knowing each other for a short time. 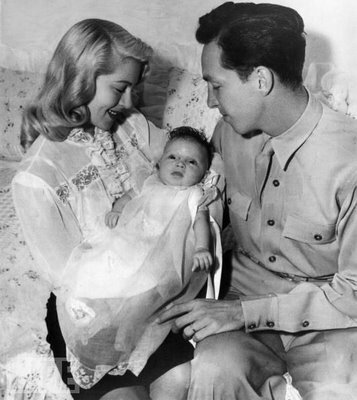 In 1942, Lana discovered she was pregnant with Cheryl and that their marriage was invalid-he married Lana before his divorce with his first wife was finalized, Crane said. She got an annulment and didn’t want to take him back, but the couple remarried in July 1943-mainly because Lana didn’t want her child to be illegitimate. Crane went to fight in the war, but was discharged for foot and back injuries that didn’t let him go overseas. On a trip home to Crane’s hometown in Indiana, Lana found out he was a phony and about a year later she divorced him in Aug. 1944. He was able to get a few acting jobs, but made his mark in the restaurant business. The couple stayed friends for Cheryl’s sake. Crane said she thinks her father always loved Lana and found several scrap books he had kept of her after he died in 1985. 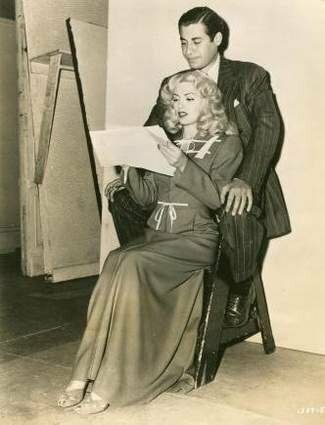 John Hodiak: John Hodiak unfortunately got mixed up in Lana and Crane’s divorce, Crane said. 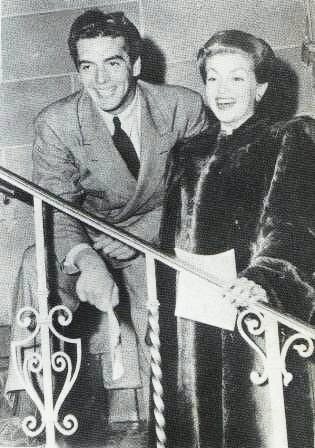 Lana made up a story about dating another man to get Stephen Crane to divorce her, and the name she blurted out was John Hodiak-her “Marriage was a Private Affair” (1944) co-star. Crane said Lana never spoke of Hodiak except that she felt bad that she had used him to end her marriage. Turhan Bey: Turhan Bey and Lana dated shortly after she separated from Stephen Crane. However, Bey’s mother didn’t approve of Lana so the romance ended, Crane said. Bey never married. Crane ran into Bey at a party 50 years after the romance ended and he asked about Lana calling her the love of his life. He wanted to take her out to dinner, but Lana was too ill to accept the invitation but was touched by his remarks. 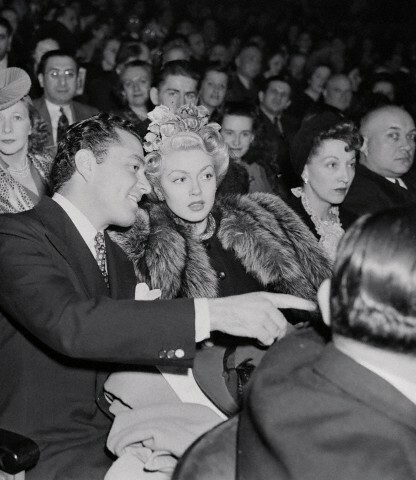 Howard Hughes: Howard Hughes dated Lana Turner briefly, and Crane believes he would have had a better chance with her if he had dressed neater. Lana’s mother got to know him as he would wait for Lana to get ready and mother would him Hughes’s pants that were always too long. He helped Lana out after their relationship ended once. In 1949, she suffered a miscarriage and wanted her mother with her. Lana’s mother called Hughes and he chartered a flight for her and even rode along to make sure she got there okay. 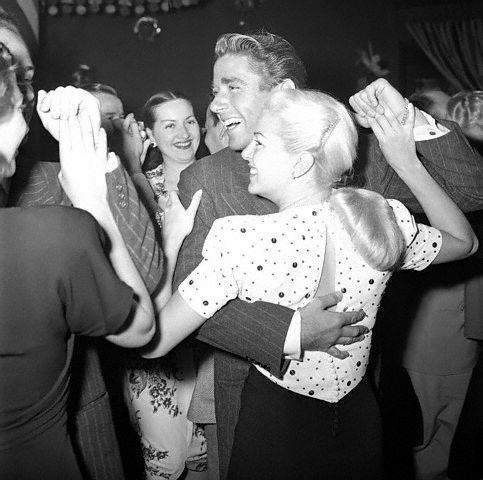 Peter Lawford: Crane thinks Peter Lawford was more attracted to Lana than she was with him. They dated in the mid-1940s and were also dating other people at the same time. Robert Hutton: Robert Hutton and Lana stared dating while she was making “The Postman Always Rings Twice.” The gossip columnists closely watched the couple, but he was not Lana’s main focus. 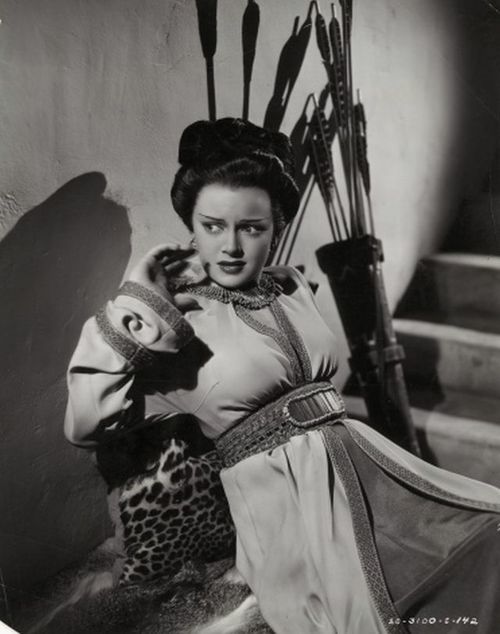 She went on a trip to South America and when she returned in 1946 he was married to model Cleatus Caldwell. 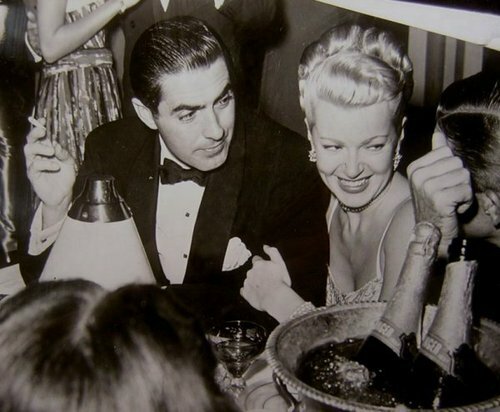 Tyrone Power: Lana said Tyrone Power was the love of her life. She had been an acquaintance of his, but he was married to Annabelle. In 1946, he and Annabelle separated. He invited Lana over for a cocktail and kissed her goodnight, which Crane said made Lana weak in the knees. Lana and Tyrone were separated due to filming, but she flew to Mexico to see him for New Year’s. Tyrone’s divorce was granted and Lana was hoping the they could get married. She also was thrilled to find out she was pregnant but Tyrone didn’t share her sentiments. Tyrone went on a 12 week airplane trip he had been planning and Lana threw him an extravagant party. While he was gone, she let him know that she decided to get an aboration. When he returned they did not resume their relationship. He heard she had been seen with Frank Sinatra and he admitted to her that he had fallen in love with actress Linda Christian. Crane said their split always hurt Lana. Bob Topping (Husband #3): Bob Topping quickly popped into the picture after Tyrone Power was out. Topping was a millionaire who wooed Lana with expensive gifts. The couple got married in April 1948, and it was Lana’s first big wedding and went on a five month honeymoon. Lana enjoyed the lavish rich lifestyle, Crane said. In 1949, Lana got pregnant but the child was stillborn. Topping had faults such as drinking and gambling. He was on an allowance and Lana ended up paying several of the bills and the couple would fight about money. Lana’s mother told her, “You can’t afford to keep a millionaire.” They divorced in 1952. 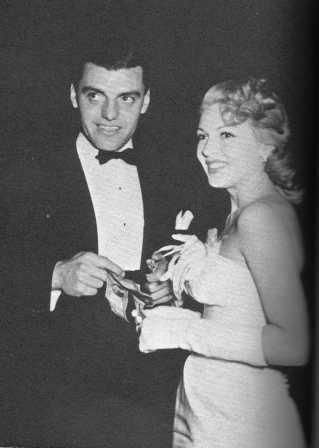 Fernando Lamas: Fernando Lamas and Lana made “Merry Widow” together in 1951. It was a stormy romance, and they fought a good bit. Lamas was jealous, particularly if Lana danced with someone else. 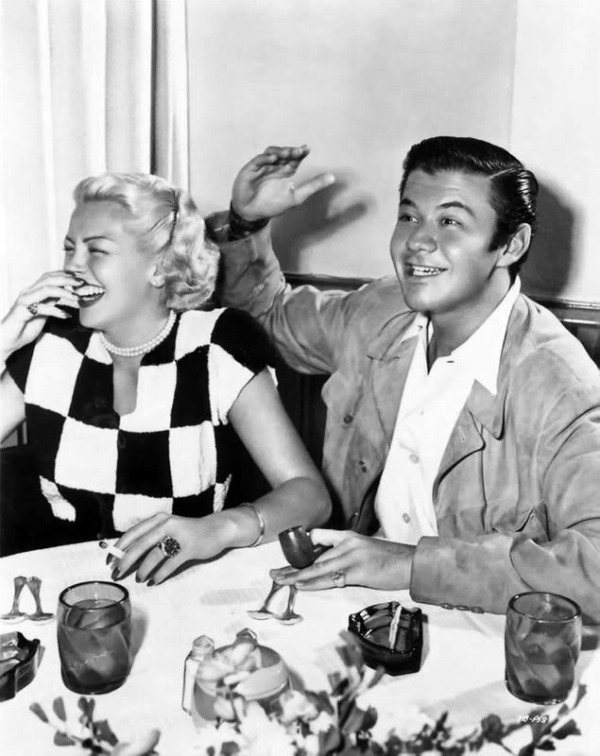 The fight that ended it was at a Marion Davies party in 1952. 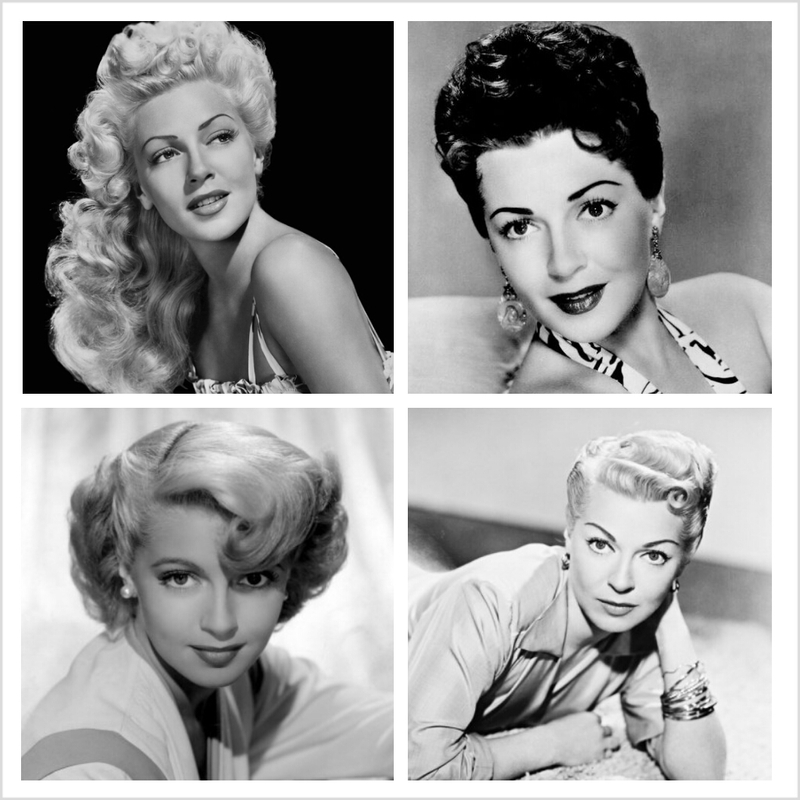 Lamas and Lana were at a table with Arlene Dahl and husband Lex Barker, and Esther Williams and her husband Ben Gage, Crane said. Barker wanted to dance with Lana and she said yes. Lamas was fuming and an arguement that night ended their romance. 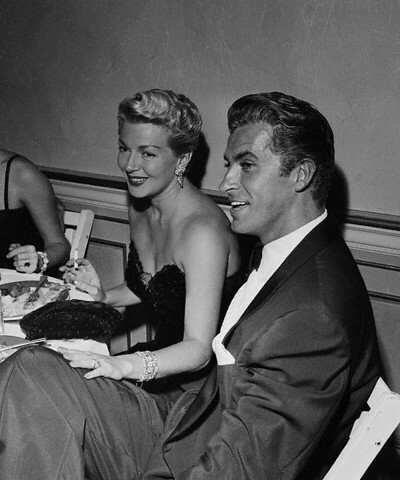 Ironically, Lamas later married both Arlene Dahl and Esther Williams and Lana married Lex Barker. 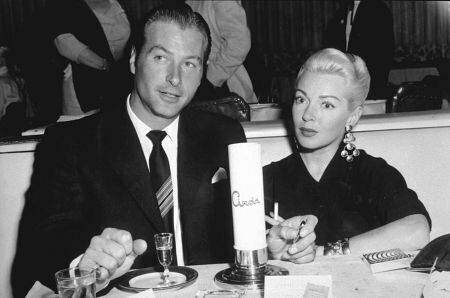 Lex Barker (Husband #4): Lex Barker and Lana started dating in the spring of 1952, after Lex and Arlene Dahl divorced. The two traveled across Europe together. 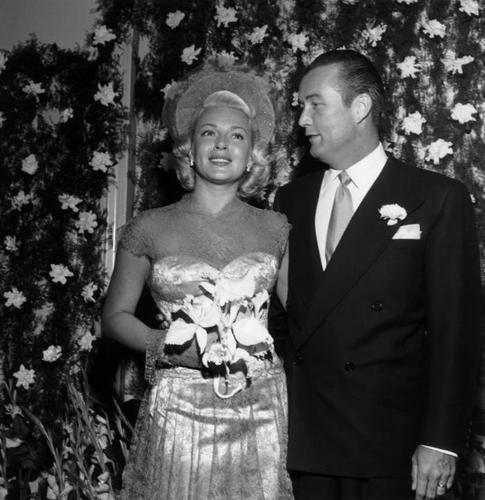 Barker and Lana married in Sept. 1953, in Italy. Lana wanted another child and became pregnant again but again lost the child for a third time, Crane said. Barker and Lana traveled a good bit, which Cheryl Crane said she liked. Barker would sexually abuse Cheryl, and she finally confided in her grandmother. When Lana’s mother told her what Barker had been doing, Lana ordered him out of her house. Barker said, “Whatever your daughter told you, it’s a lie,” but Lana hadn’t mentioned Cheryl. 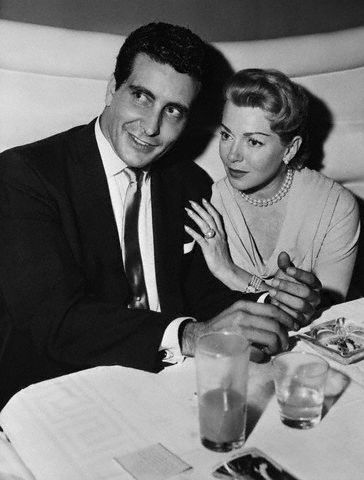 Johnny Stompanato: ‘John Steele’ began sending flowers to her in 1957. When she found out his real name and that he was trouble, she was in too deep with the relationship. He was a body guard to mobster Mickey Cohen and known for draining wealthy women’s money, Crane said. The more Lana learned about him, the more dangerous the relationship got, but she thought she could handle it. Stompanato traveled with her while she filmed movies and her make-up artist once had to cover bruises on her face. Crane said Lana was frightened. Cheryl was home for Easter vacation when Lana told her about Sompanato’s attacks, and Lana said she was going to get rid of him. Cherly heard them arguing and in a panic grabbed a knife off the counter, planning to scare him off. Cheryl stood outside and listened, Lana opened the door and Stompanato was about to hit Lana. Cheryl stepped forward and he ran into her knife. Lana and Cheryl were taken to the police department and gave their statements. Cheryl was booked on suspicion of murder and taken to juvenile hall. The coroner’s inquest was broadcast live. Stompanato’s murder was ruled justifiable homicide and Cheryl was released to the custody of her grandmother. Crane said the events that occurred over Good Friday weekend in 1958 were forever mentioned when Lana or Cheryl were mentioned in the news, regardless of the topic. 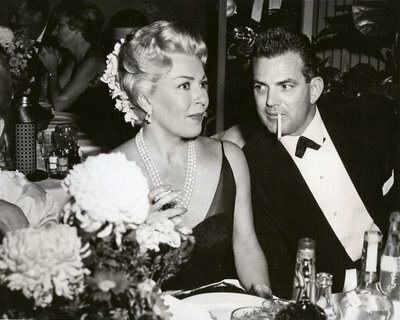 Fred May (Husband #5): Crane said Lana was fonder of Fred May than any of her other of her other husbands. 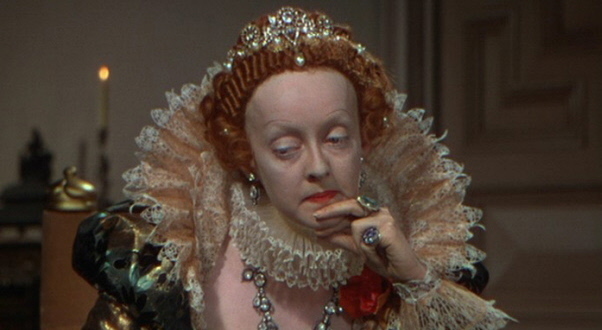 May reminded Lana of Tyrone Power, but she wasn’t ready to get married yet. They lived together for a year and then married in November 1960 when Cheryl left reform school. May fell in love with Lana the person, not the star and made her feel like she was loved for herself. 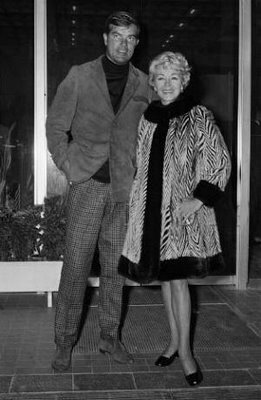 There wasn’t a tangible reason why the couple split up in 1962, Crane said, but they remained friends until his death in 1964. Robert Eaton (Husband #6): Robert Eaton was part of a new set of friends that Lana hung around with in the mid-1960s. 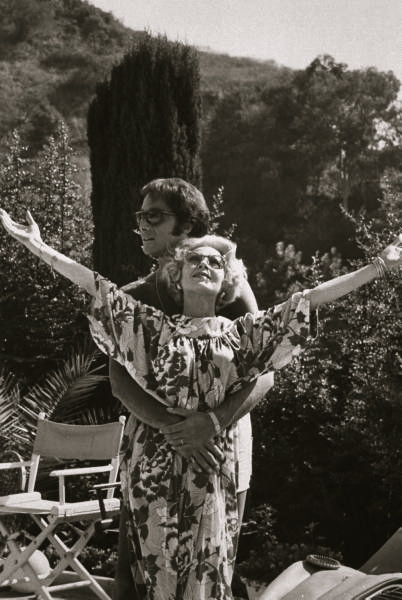 He was 10 years younger than she was, but Lana and Eaton married in Virginia in 1965. Crane believed Eaton was an opportunist using her mother, but Lana didn’t want to listen. Lana went abroad to shoot a film, and when she returned she found Eaton with another woman. They divorced in 1969. Ronald Dante (Husband #7): Lana went to popular 1960s night stops and met Ronald Dante at the “Candy Store.” Crane said, “Dante had long hair, rode a motorcycle and worked as a nightclub hypnotist.” The couple got married in May 1969. Crane said she thinks Lana married Dante because he made her feel young. However, he stole from her and they divorced in 1972. “Husband six and seven are best left unmentioned,” Lana said. Which is your favorite Lana romance or Lana husband? I think mine might be Fred May and Tyrone Power. Let us know!